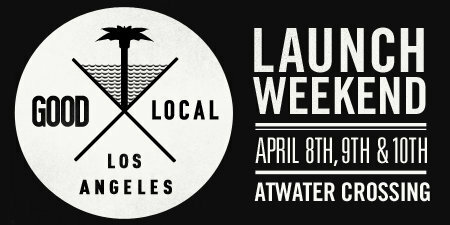 The GOOD LA Launch Weekend is April 8 through 10. Join in Good Magazine's celebration of its Los Angeles issue and the launch of GOOD LA, a new local community for Los Angeles residents. The weekend will consist of events from non-profit organizations and community groups, and will take place at Atwater Crossing, a new creative space in Atwater Village. RSVP here. In an effort to better serve the Hollywood and Pacoima communities, the Youth Policy Institute is taking a survey as part of the Promise Neighborhoods initiative, President Obama’s signature program to help children and their families. The online survey is available both in English and Spanish, and only takes about 10 minutes to complete. If you live, go to school, or have a child who goes to school in one of the Promise Neighborhoods below, please take the time to participate! The Youth Policy Institute will be collecting surveys through the end of the day Friday, April 8, 2011. All answers will be anonymous and confidential, and the results will be shared with the Department of Education as part of their grant application to bring millions of dollars to these communities to help implement the Promise Neighborhoods vision. To answer the survey, go here: Los Angeles Promise Neighborhood Community Survey. This morning, I joined the City Council in recognizing a day of remembrance of Archbishop Oscar A. Romero of El Salvador. Archbishop Romero is celebrated as the ultimate pastor of the Salvadoran people. Each year in March, Salvadorans across the world remember Archbishop Romero and his fight against injustices and human rights violations. 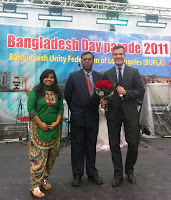 On Saturday, I was proud to join with members of the Little Bangladesh community in celebrating Bangladesh’s 40th anniversary of independence. The parade and celebration focused on the themes of community building and cultural diversity. 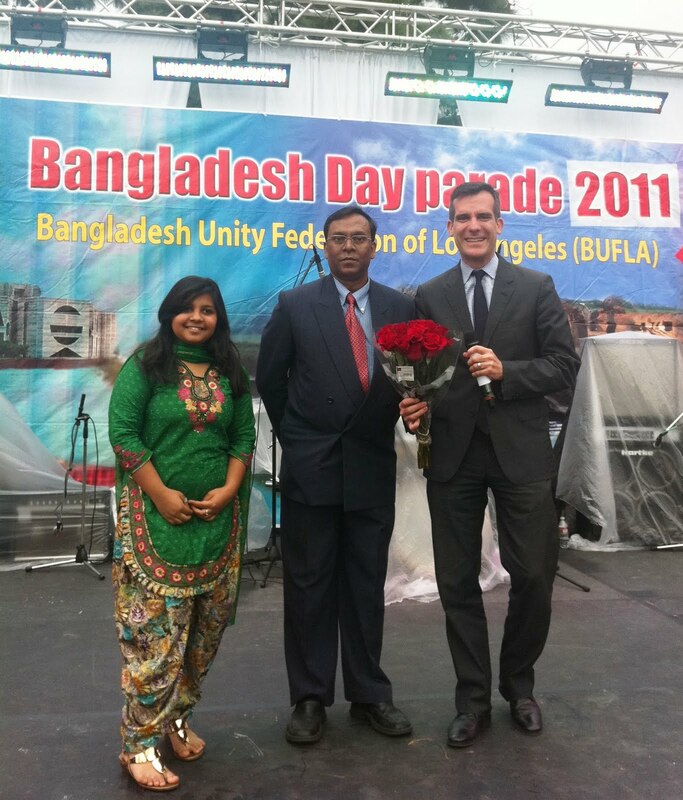 Earlier this year, Little Bangladesh became one of Los Angeles's officially recognized neighborhoods -- showing the growing diversity of our city. On Sunday, May 1, from 8:00 a.m. to 4 p.m., the Angel Dogs Foundation will be putting on the WOOF Dog Boutique (3172 Glendale Blvd) in Atwater Village. The boutique will offer low cost spay and neutering as well as microchips and vaccinations as well as canine and feline food vendors. All spay and neuters require a reservation and prepayment. The cost of a canine spay or neuter is $110 and comes with a free microchip and rabies vaccine. The cost of a feline spay or neuter is $90 and comes with a free microchip and free rabies vaccine. Cash or checks are accepted. 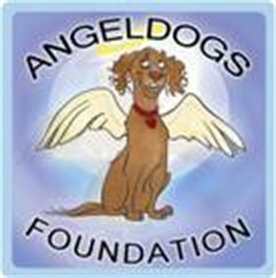 Checks may be dated 5/1/11 and made payable to Angel Dogs Foundation. Reservations must be made by April 20. To make a reservation, call (323) 661-7722. Walk-ins are welcome for microchips and vaccinations. It will cost $10 for microchips and $10 for each vaccination. 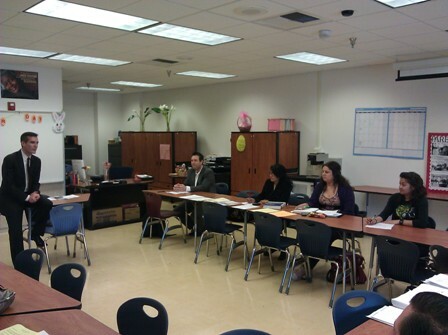 Today I met with student council members at Helen Bernstein High School. These are Los Angeles's next generation of leaders and I was pleased to have the opportunity to meet them. Already, these students are involved in improving our community. They shared their thoughts and concerns about improving Lemon Grove Park and noted some of the positive changes they have seen in the area around the school, including improvements at a nearby tunnel under the freeway. I look forward to seeing more from these young leaders. Opening Day for the Los Angeles Dodgers is scheduled for Thursday, March 3, at 5:00 p.m. 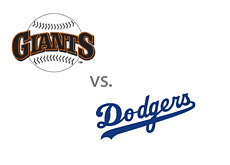 The Dodgers will be playing the San Francisco Giants. The night before Opening Day, maintenance lights will be on for the duration of the night in preparation for the day's events. The pre-game ceremony, which is scheduled to start at approximately 4:30 p.m., will include displays on the field and a military flyover approximately 10 minutes before the opening of the game. The parking gates will open at 1:00 p.m. and the stadium gates will open at 1:30 p.m.
You may report any security concerns to the Dodgers' Neighborhood Focus line at (323) 224-2636. 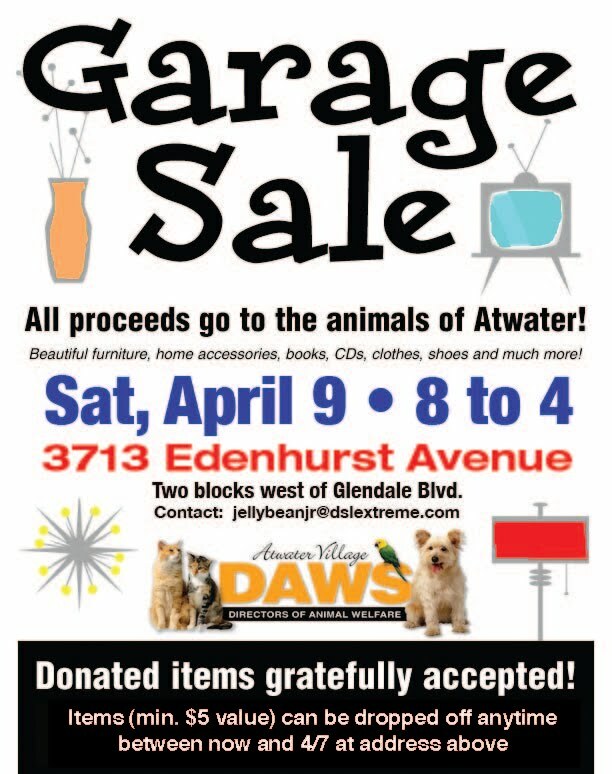 The Atwater Village Directors of Animal Welfare will be hosting a garage sale to benefit the animals of Atwater on Saturday, April 9, from 8:00 a.m. to 4:00 p.m. at 3713 Edenhurst Avenue. 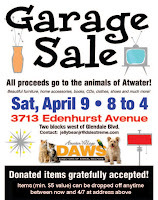 Donated items can be dropped off anytime before April 7 at the address above. Please contact jellybeanjr@dslextreme.com with any questions. Partnerships to Uplift Communities' Santa Rosa Charter School (3838 Eagle Rock Blvd.) will hold a Spring Festival Fundraiser Swapmeet on Saturday, April 9, from 10:00 a.m. to 4:30 p.m. The festival and swapmeet will feature musicians are artists performing live, carnival games, great deals on swapmeet items, food and drinks, and a raffle. Admission is free. Partnerships to Uplift Communities (PUC) is a non-profit charter school management organization designed to significantly increase college entrance and graduation rates for under-served students in Los Angeles and the San Fernando Valley. You can learn more about the Glassell Park event and my Los Angeles Neighborhood Dreams (LAND) initiative here. Join the Echo Park Improvement Association for a social event at Taix Restaurant in the Champagne Room Thursday, April 7 at 7:00 p.m. 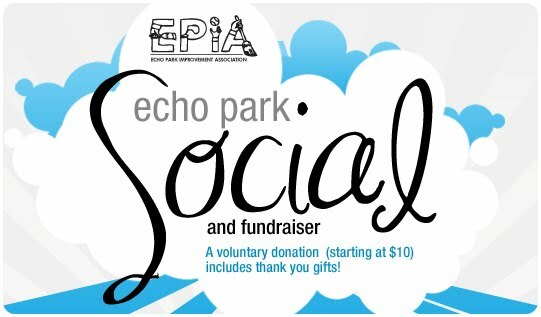 Enjoy hors d'oeuvres, cocktails, and a raffle while learning about neighborhood issues from Echo Park leaders, neighbors and activists. The Asian Pacific American Legal Center (APALC) will host a Free Citizenship Workshop tomorrow, March 26, at the Rosemead Community Center (3936 Muscatel Avenue, Rosemead, CA) from 10 a.m. to 4 p.m.
"Citizenship 101: Your Guide to Citizenship" DVD/workbook sets will also be handed out to workshop applicants. Citizenship 101 is also available for viewing online. Please call APALC at (213) 977-7500 to make an appointment. Washington Irving Middle School (3010 Estara Ave.) is working to recruit more students to their campus located in the Glassell Park community. Washington Irvine Middle School is composed of sixth, seventh and eighth graders and utilizes the Middle Years program. The Middle Years program is a part of the International Baccalaureate Program, which aims to develop inquiring, knowledgeable and caring young people who help to create a better and more peaceful world through intercultural understanding and respect. For more information, please call (323) 259-3700. Today I was pleased to participate in the ribbon cutting ceremony of the Children’s Institute’s new Otis Booth Campus located in Historic Filipinotown. The Children's Institute has a long history of dedicated service to our most vulnerable, at-risk children and their families. The new 48,000 square foot facility will allow them to provide services to more than 5,000 families through its programs, health services, and performing arts opportunities. There's an old African proverb that says "it takes a village to raise a child." Because of the Children's Institute and its supporters, there are more children who are being raised to be healthy, to be happy, and to fulfill their promise as members of this village we call Los Angeles. 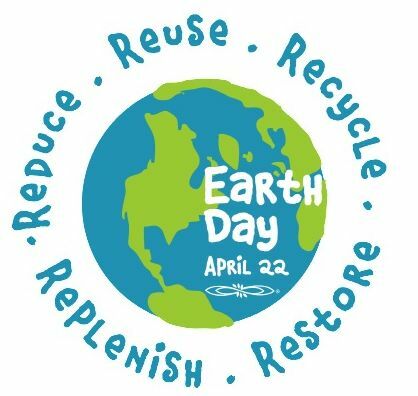 This Earth Day, Sustainable Silver Lake will continue its Earth Day program with events at Micheltorena and Ivanhoe Elementary Schools. Programs designed for students and parents will focus on eliminating litter on school grounds and reducing the trash generated from packaged foods at lunch and snacks, such as juice boxes and chip bags. 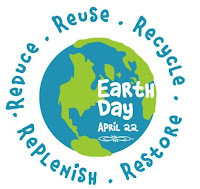 Ivanhoe Elementary School will be designating the whole month of April as Earth Month. Their goal for Earth Month is to educate students about reducing solid trash and proper recycling methods. At Micheltorena Elementary School, Sustainable Silver Lake will be teaming up with the already established Micheltorena Elementary School/Community Garden volunteers to clean up and raise awareness of litter on Micheltorena's school grounds. In addition, on Saturday, April 23 from 12 p.m. to 4 p.m., the Silver Lake Neighborhood Council will launch "100% Clean for 2018 - a Solar Silver Lake Campaign" at the Micheltorena Elementary Library. Project Grantsmanship will hold its 2011 training program that provides comprehensive, hands-on workshops on the grant development process -- from researching funding sources to writing proposals. Board members and staff of 501(c)(3) organizations based in L.A. County with annual budgets under $10 million are eligible to apply. Project Grantsmanship's partner foundations will underwrite up to 90 percent of the training fee. Project Grantsmanship is a partnership of the Annenberg Foundation, California Community Foundation, Dwight Stuart Youth Fund, the Ralph M. Parsons Foundation, and The Grantsmanship Center. One of its missions is to help non-profit organizations produce more compelling proposals for funding. Workshops will take place from April 11 through April 15 at the Grantsmanship Center (1125 W. 6th St.). For more application information, please click here. My office is proud to partner with State Controller John Chiang's office and the Hollywood FamilySource Center to provide free tax preparation services through the Volunteer Income Tax Assistance program. 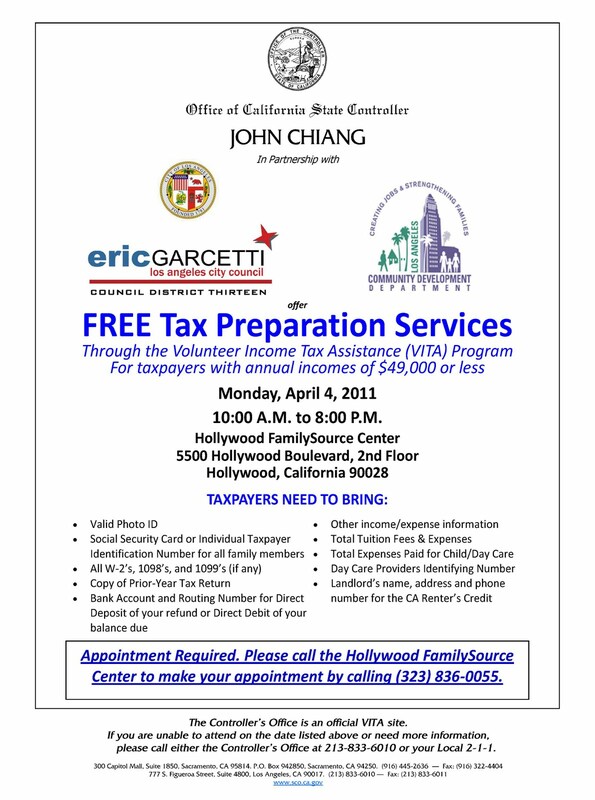 Taxpayers with annual incomes of $49,000 or less can receive free assistance with preparing their tax forms on Monday, April 4, between 10 a.m. and 8 p.m. at the Hollywood FamilySource Center (5500 Hollywood Blvd., 2nd Floor). Appointments are required. To make an appointment, please call the Hollywood FamilySource Center at 323-836-0055. Also, click on the flyer at right for a list of documents and information you will need to bring to your appointment. Apply now for a "Clean and Connected Communities" grant! We've launched a new initiative to provide grants to neighborhood leaders to plan and implement beautification projects in their communities. The Clean and Connected Communities program will provide grants of up to $2,500 each to up to three neighborhood projects. Applications for Clean and Connected Communities grants are now available online by clicking here. Neighborhood stakeholders -- including neighborhood councils, school organizations, Neighborhood Watches, and non-profit organizations – are encouraged to collaborate and apply. Projects must be located in Council District 13 and make physical improvements through initiatives such as landscaping, tree planting, signage, community clean-ups, community gardens, and murals. The Council Office will select semi-finalists from the applicants, and community members will then be invited to vote for the final grantees. The Pacific Asian Consortium of Employment (PACE) will host three free business and finance workshops at the Los Angeles Minority Business Opportunity Center (200 N. Spring Street). How to Grow your Business in Difficult Times (9 a.m. - 10 a.m.) This workshop is for start-up or existing business owners. Attendees will also be eligible for free one-on-one counseling services. State Enterprise Zone (10 a.m. - 11:35 a.m.) This workshop will provide information about tax credits available to businesses that are located in a State Enterprise Zone. Federal / State Payroll Tax Seminar (12:30 p.m. - 2:30 p.m.) This workshop will review federal and state payroll tax reporting requirements. To RSVP, please e-mail dgonzalez@pacela.org with your name, company name, contact information, and product or service. 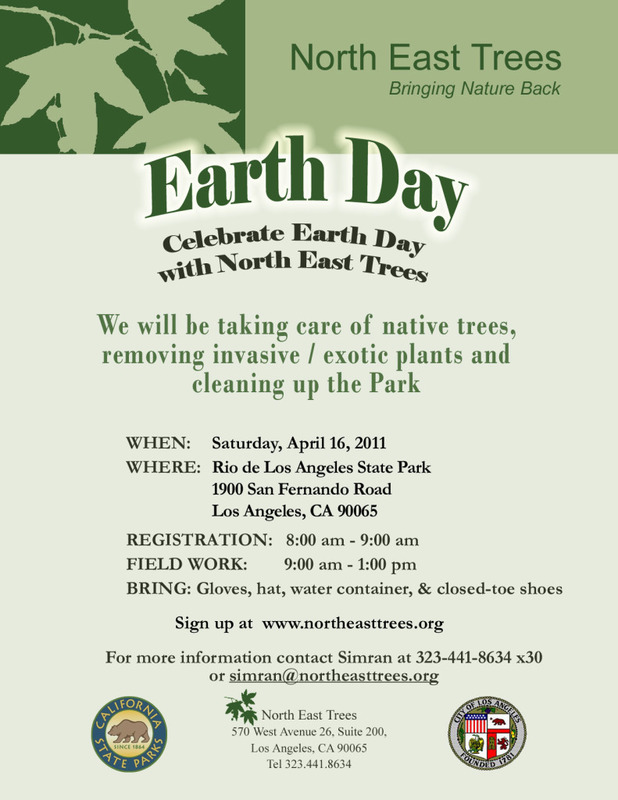 On Saturday, April 16, North East Trees will celebrate Earth Day at Rio de Los Angeles State Park (1900 San Fernando Road) with a day of service and maintenance. Participants will take care of native plants, removing invasive and exotic plants and cleaning up the park. Participants should wear comfortable clothes, closed-toe shoes and a hat. Bring along work gloves, sunscreen and a refillable water bottle. Tools will be provided. Registration begins at 8:00 a.m. and field work will take place from 9:00 a.m. until 1:00 p.m. The American Diabetes Association will host its annual Diabetes Expo at the Los Angeles Convention Center on Saturday, May 21, from 10:00 a.m. to 4:00 p.m. This free event will feature health screenings, healthy cooking demonstrations, diabetes products and services, and educational sessions about diabetes management and disease prevention. For more information, please contact Mary Hewitt at the ADA at mhewitt@diabetes.org. The "Envisioning Silver Lake" Design Competition is underway! Presented by my office, the Silver Lake Neighborhood Council, and other community organizations, this competition will select a design for a permanent installation and new community plaza at Sunset Junction. 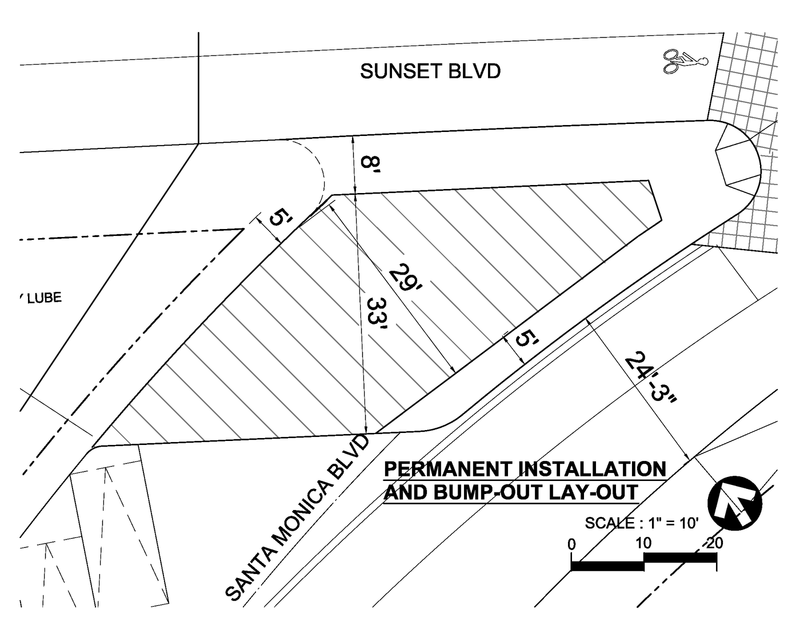 The new installation and plaza are part of a $1.5 million reconstruction of the historic Sunset Junction and its surrounding area. The deadline for submissions is Monday, April 11, at 5 p.m. For more information and to download the application form, please click here. March 26: Hollywood City Hall (6501 Fountain Avenue); Classes will begin every 30 minutes between 9:00 a.m. and 11:30 a.m.
April 2: Micheltorena Elementary School (1511 Micheltorena Street); Classes will begin every 30 minutes between 9:00 a.m. and 10:30 a.m.
All training participants will receive a free rain barrel at the end of the class. 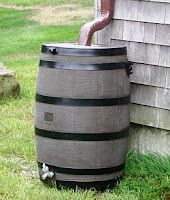 Click here for more information about rain barrels and water harvesting. Here are L.A. marathon-related updates to the previous marathon post regarding street closures on Sunday, March 20. The Los Angeles Marathon Expo will be held at Dodger Stadium on March 18 and 19. Marathon participants will pick up their race packets from 10:00 a.m. to 8:00 p.m on Friday and 9 a.m. to 6 p.m. on Saturday. On Friday, attendees will enter from the Sunset Gate, Golden State Gate (on Academy Drive), and Downtown Gate (on Stadium Way). On Saturday, they will use the Sunset and Downtown Gates. On Saturday, March 19, the 5k race will be held from 8:00 a.m. to 10:00 a.m. Participants will use the Sunset and Downtown Gates beginning at 6:00 a.m.
826LA is hosting two weekly workshops for high school students at the 826LA East facility in Echo Park (714 W. Sunset Blvd). Free tutoring is available every Tuesday from 6 p.m. to 8 p.m. Students can get help with all subjects. To register or find out more, please contact Zoe Ruiz at 213-413-3388 or zoe@826la.org. 826LA is also looking for high school students to help publish Zine Defined, a student-run publication of writings and drawings of local students. To sign-up or find out more, contact Marisa Gedney at 213-413-3388 or marisa@826la.org. The Cypress Family Resource Center is providing free tax preparation services for taxpayers with annual incomes of $49,000 or less through the Volunteer Income Tax Assistance Program. This program is open to residents of the City of Los Angeles, and those seeking assistance should make an appointment in advance. 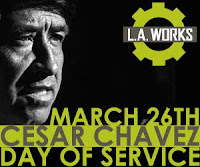 LAWorks is looking for volunteers to participate in the César Chávez Day of Service in Echo Park on March 26. Volunteers will work with and mentor Los Angeles Unified School District students as they create murals with community justice and human rights themes. Once completed, these murals, painted on canvas, will be donated to schools and libraries in Los Angeles and displayed for the enrichment of the Greater Los Angeles community. The event will feature guest speaker Andres Chávez, organizer and grandson of César Chávez. Painting will take place from 8:30 a.m. to 1:00 p.m. Tomorrow morning between 5 a.m. and 7 p.m., the L.A. Dodgers and NBC-LA will host a "drive through" relief event to help raise funds for the American Red Cross Japan. Dodger alumni Bobby Castillo, Kenny Landreaux, Rudy Law, Al Ferrara, Jimmy Campanis, and Derrel Thomas will join NBC-LA personalities in collecting donations. Donors who pitch in of $20 or more will receive two tickets to an upcoming Spring Training exhibition game at Dodger Stadium. If you would like to help make this event a home run, please use Parking Lot 1 at Dodger Stadium. 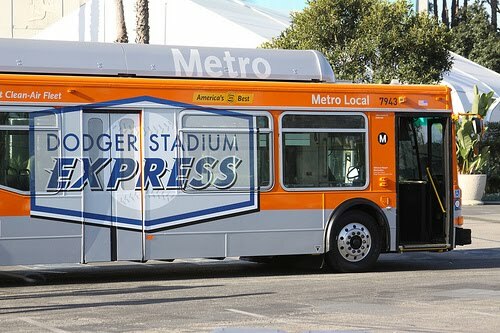 All aboard the Dodger Staduim Express! Metro has announced it will again offer Dodger Stadium Express bus service from Union Station in downtown Los Angeles to Dodger Stadium beginning March 28 through the regular 2011 baseball season. Last year, the Dodger Stadium Express bus service transported more than 122,000 fans with more than 60 percent of those riders using public transportation from their place of origin to get to Union Station. Metrolink will also offer additional late night service on three of its popular lines following weekday home games. Round trip tickets on Metrolink trains associated with the Dodger home games will cost between $8 and $10. Service will be provided every 10 minutes prior to the start of the game and run approximately every 30 minutes throughout the game. Dodgers admission tickets will be honored as fare payment to ride the bus service. Those without a ticket will pay regular one way fare of $1.50. On April 10, the Echo Park Time Bank will host a free baking workshop at Jeannie Cook's Catering (3048 Fletcher Avenue) from 5:00 p.m. to 5:30 p.m. A potluck will also take place after the workshop. The Echo Park Time Bank is a collective whose purpose is to facilitate the cooperative exchange of goods and services among its members. It is a pay-it-forward system in which members can earn "Time Credits" for every hour spent helping another member. Credits can be redeemed from other members for everything from dog walking to tutoring to haircuts. For more information, click here. You can also find out how to become a member by clicking here. On Saturday, March 26, the Farmer's Kitchen (1555 N Vine St) will offer two cooking workshops. "Fermentation 101" will be held from 9 a.m. to 12 p.m. Participants will learn the art and science of fermentation by making vinegar, yogurt and sauerkraut. They will also have an opportunity sample fermented products and take home one or more mother cultures. "Mushrooms, Explained" will be held from 2 p.m. to 4 p.m. Participants will learn mushroom basics from Chef Dirk Hermann, owner of LA FungHi, and sample varieties of raw mushrooms and dishes that feature them. The Farmer's Kitchen is a project of Sustainable Economic Enterprises of Los Angeles, a nonprofit community development corporation dedicated to providing local food sources and food security, nutrition education, microenterprise incubation and related services to our surrounding community. The City of Los Angeles has finalized street closures and restricted parking, as well as security strategies and public safety measures, to support the 26th annual Los Angeles Marathon. Various streets along the marathon route will be closed by 3:15 a.m. on March 20, then reopen as early as 10:15 a.m., depending on the location. Streets will reopen by region because of the size and complexity of the event route. Click here for a detailed list of street closures, and their approximate times, within the City of Los Angeles. Three other municipalities — West Hollywood, Beverly Hills and Santa Monica — will likely institute additional street closures. Detailed course maps and event information are available on the internet at www.LAmarathon.com or http://trafficinfo.lacity.org. Additional questions can be posed to the L.A. Marathon office at (213) 542-3000. The City of Los Angeles Office of Finance has recently expanded its web-based services for tax and permit holders. Parking lot operators can now submit online their monthly parking occupancy tax renewal along with their remittance of City parking taxes. Police and Fire permit holders can also renew their annual permits online. An Automated Clearing House payment feature has also been added, which eliminates manual funds transfer requests by business to their banks. Last year, the Office of Finance announced new web-based options including electronic filing of business tax renewals. To date, more than 140,000 businesses have used the new on-line feature. For those of you interested in helping families in Japan that need assistance following the earthquake, here are some organizations that are providing relief efforts there. The American Red Cross is offering assistance and financial support to the Japanese Red Cross for its role providing first aid, emotional support and relief items to those displaced. To help, donate online or text REDCROSS to 90999 to make a $10 donation. Operation USA, a Los Angeles-based International relief agency, will prepare to aid Japan as part of the relief efforts following the earthquake. To help, donate online, by phone at 800-678-7255, or by check made out to Operation USA, 3617 Hayden Ave, Suite A, Culver City, CA 90232. Los Angeles Emergency Preparedness Foundation is accepting donations in support of the Japan Tsunami and Disaster Preparedness for Southern California. LAEPF is a nonprofit organization that supports the City of Los Angeles with emergency preparedness and mitigation activities, education on disaster preparedness, and assistance and support when an incident occurs. To help, donate online. An International Medical Corps emergency response team is on the ground in Japan and is coordinating with local officials to support response efforts and fill critical gaps. To help, donate online, by phone at (800) 481-4462, or by check payable to International Medical Corps, ATTN: Development Department, International Medical Corps, 1919 Santa Monica Boulevard, Suite 400, Santa Monica, CA 90404. Habitat for Humanity Disaster Response is working to develop innovative housing and shelter assistance models that generate sustainable interventions for people vulnerable to or affected by the Japan earthquake and tsunami. To help, donate online. The Glassell Park Neighborhood Council will hold a general stakeholder meeting on Tuesday, March 15, at 7 p.m. The meeting will be held at the Glassell Park Senior and Community Center (3750 N. Verdugo Rd.). The Northeast Community Police Advisory Board will hold its monthly meeting on Monday, March 21, at 6:30 p.m. 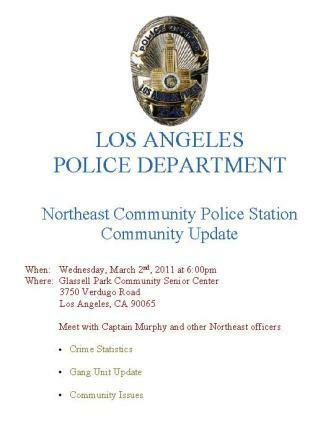 The meeting will be held at the LAPD Northeast Division (3353 San Fernando Rd.) in the Roll Call room. Attendees will get an update from the LAPD Senior Lead Officers, City Attorney's Office, and more. On Saturday and Sunday (March 12 and 13) there will be a partial street closure on Highland Avenue between Yucca Street and Sunset Boulevard between 6 a.m. and 4 p.m. 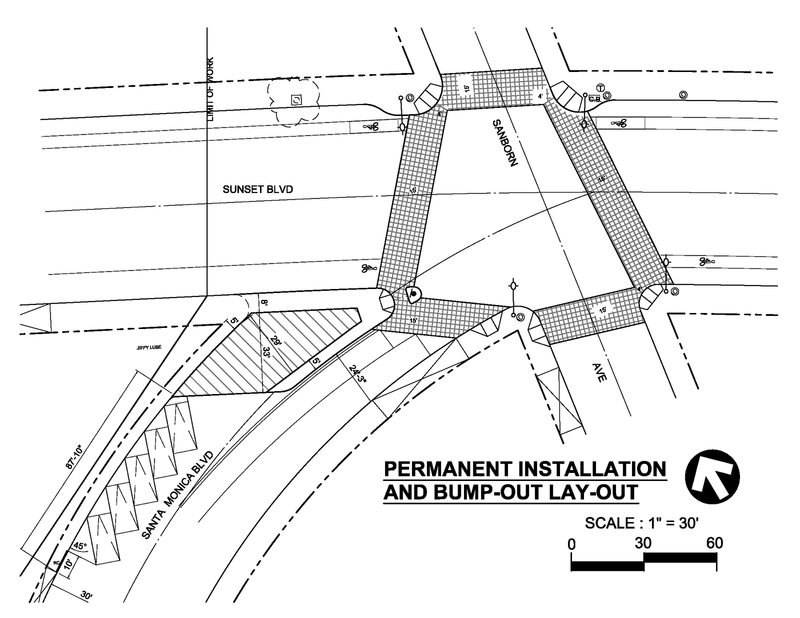 The Bureau of Street Services will be preparing the roadway for resurfacing. Drivers are asked to use Cahuenga Boulevard and Franklin Avenue as alternate routes. The Echo Park Recreation Center is seeking women for its new 2011 Women's Basketball League. Practices are being held on Monday nights from 6:30 p.m. to 8:00 p.m.
at the Echo Park Recreation Center Gym (1632 Bellevue Ave) across from Echo Park Lake. A minimum of 24 players are needed to form the league, but practices have already begun. No experience is necessary. Under the leadership of Coach Ramon Alvarez, participants will learn how to dribble the ball, execute a proper lay up, use a zone defense, understand the rules of the game, and have lots fun. Women of all ages are welcome! Currently, the oldest player in the league is 70 and the youngest player is 22. Cost is $50 per person for a ten week session. 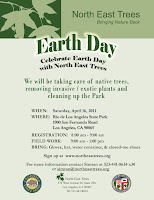 For more information please contact Echo Park Recreation Center Program Director Marjorie Dall at 213-250-3578. Tuesday, March 8, is Election Day in Los Angeles. If you are registered to vote, please note that your polling place may have changed and you can look it up by clicking here or calling the City Clerk's Election Division at 888-873-1000. Starting next Friday, March 11, the Echo Park Farmers' Market will offer a Healthy Market Basket program through which subscribers can purchase baskets of fresh, healthy produce from local growers. Sign-up for a basket online at shop.farmernet.com and then pick it up on Fridays between 5 p.m. and 8 p.m. and the Echo Park Farmers' Market (in the parking lot on Logan Street south of Sunset Blvd.). Tomorrow morning, my office is co-sponsoring a health fair in Hollywood. This event will feature free health screenings (including mammograms, and bone density and blood pressure tests), dental screenings, and hygiene services such as haircuts. A limited number of children's bicycle helmets will also be distributed for free. There will be food, music, activities for kids, and more. So come on out to 5500 Sunset Boulevard between 9 a.m. and 2 p.m.! For more information, please call 213-252-2952 x12 and ask for Brenda. Or call 323-469-9002 and ask for Angel or Nathalie. 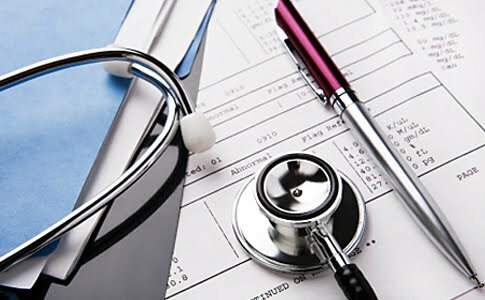 There will be a free community health fair at Logan Street Elementary School (1711 W. Montana Street) on Saturday, April 9, from 9 a.m. to 2 p.m. 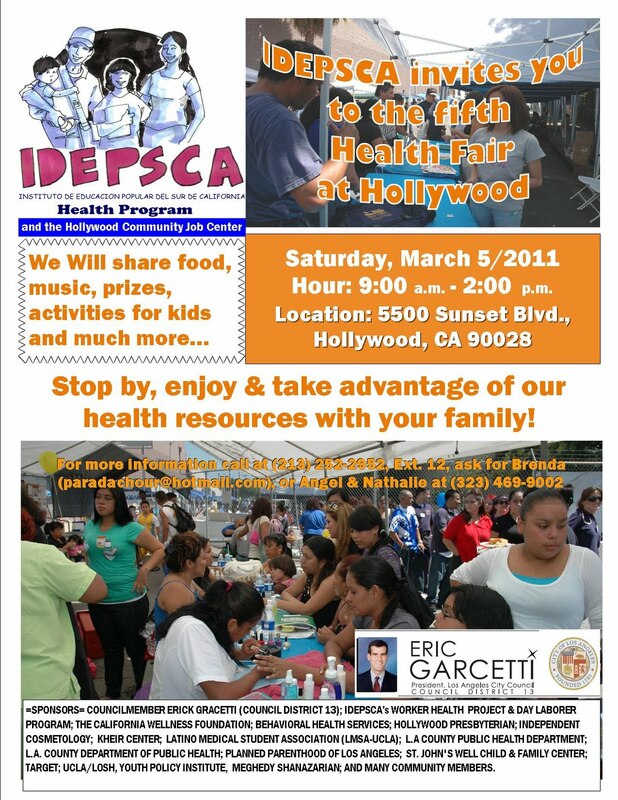 The health fair will offer free cholesterol screening, body fat analysis, glucose examination, blood pressure screening. Mammograms and breast exams will be available by appointment. The fair will also have health and nutrition information, food preparation demos, information about applying for low cost health insurance and food stamps, information on various chronic diseases, a traffic safety presentation, and a prize drawing. For information or appointment, call (213) 484-7765. 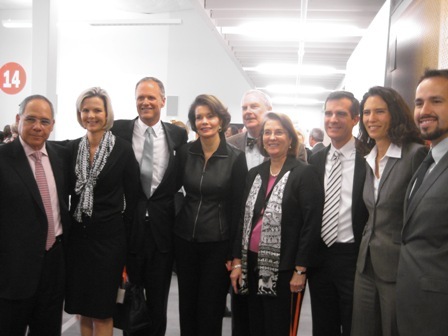 In December, I helped launch a new campaign to keep film production in Los Angeles -- Film Works L.A. Coordinated by the non-profit Film L.A., Film Works L.A. is being supported by a broad coalition of entertainment industry businesses, labor, neighborhood leaders, and others who want to play an active role in ensuring that Los Angeles continues to be the entertainment capital of the world. event, titled Film Works L.A.: The Real "Battle: Los Angeles" Fight Against Runaway Production. 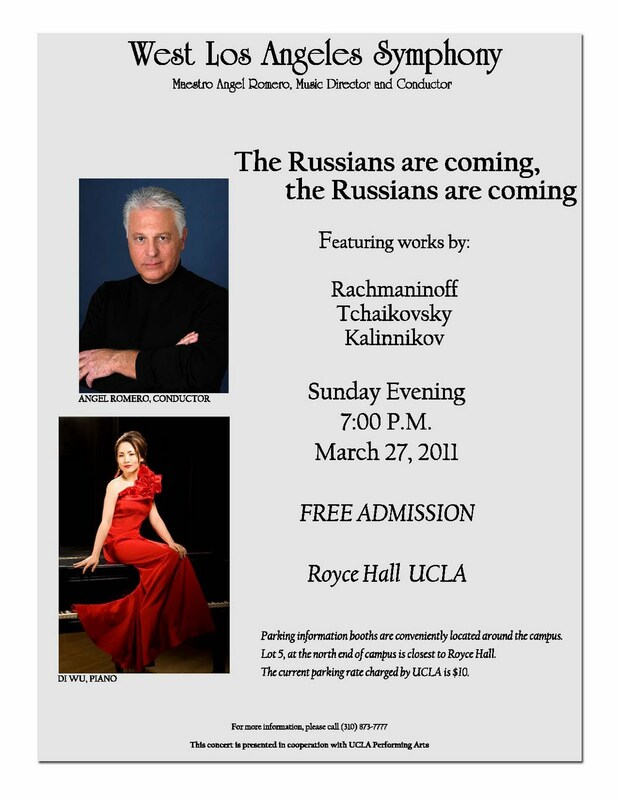 The West Los Angeles Symphony will celebrate its 19th season with a free concert on Sunday, March 27, at 7:00 p.m. at Royce Hall on the UCLA campus. 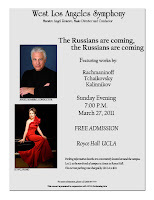 The concert will be a Russian-themed program featuring the Los Angeles orchestral debut of sensational young piano virtuoso, Ms. Di Wu. The concert will be conducted by Grammy-winner, Sir Angel Romero. The Glassell Park Neighborhood Council Education Committee cordially invites the community to a "Greet and Meet" with the candidates running for the Los Angeles Community College District. The event will take place on Thursday, March 3, from 7 p.m. to 9 p.m. at the Glassell Park Senior and Community Center (3750 Verdugo Road). This morning, I joined City Councilmember Paul Koretz, City Attorney Carmen Trutanich and LAPD Chief Charlie Beck to announce that the City of Los Angeles is officially supporting passage of H.R. 308 by Congresswoman Carolyn McCarthy (D-NY04), which would ban ammunition magazines that hold more than 10 rounds. These large capacity ammunition magazines were made illegal as part of the Violent Crime Control and Law Enforcement Act of 1994, commonly known as the federal assault weapons ban, but Congress failed to renew the ban when it expired in 2004. A large capacity ammunition magazine was used to carry out the recent shooting in Tucson, allowing the gunman to fire more than 30 bullets in 15 seconds. Since the ban’s sunset in 2004, the Los Angeles Police Department’s Gun Unit has seen a significant increase in the number of large capacity ammunition magazines recovered. In 2004, the City recovered 725 large capacity ammunition magazines compared to 38 in 2003, a 1,808% increase. We all pay a high price for the toll that gun violence takes on our communities. We want to make it as difficult as possible for criminals to have access to large capacity firepower, and we definitely don’t want to see our law enforcement officers outgunned by criminals. I'm happy to join community members in announcing that Maria -- the goose who makes her home at Echo Park Lake – will live at the Los Angeles Zoo while the lake is drained and repaired as part of a restoration project. Maria will be returned to her home when the project is completed. Maria is a special part of the Echo Park community and we want to make sure she is in a safe place during the restoration project. The L.A. Zoo will take good care of her while her home gets remodeled, and her friends will still be able to visit her. I would like to thank the Echo Park community - particularly Dominic Ehrler and Christine Peters - for working with my office to help find Maria a temporary home. I would also like to thank the L.A. Zoo for agreeing to take good care of Maria while her home is renovated. 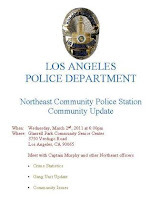 On Wednesday, March 2, the LAPD's Northeast division will be hosting a community meeting for residents of Glassell Park, Atwater Village, Cypress Park, Eagle Rock, East Hollywood, Echo Park, Elysian Park, Elysian Valley, Franklin Hills, Garvanza, Glassell Park, Highland Park, Los Feliz, Mount Washington, Silver Lake, and Solano Canyon. Captain Murphy and other officers from the Northeast station will report on recent crime statistics and other community issues. The meeting will take place at the Glassell Park Community Senior Center (3750 Verdugo Road) beginning at 6:00 p.m.